I realize through the road trip that the marinas are getting quieter and quieter during the week as folks are either winterizing, or are simply going to relax on their houseboats during the weekend. It's a great time of year for some peaceful houseboat relaxation. It has been a very busy month here on the RV Road Trip all about Houseboats. A road trip brings a lot of variety and many adventures. As some of you know we have decided to take the website out on the road (figuratively speaking). The RV Road Trip goal is to promote and help grow recreational houseboat, and meet the people, places, and the businesses that make it all happen. You can follow our agenda and adventures of week 00, week 01, week 02, week 03, week 04. There's been many adventures this past month and have discovered a highly popular new trend in houseboating. It is an easy way for folks that would love waterfront property, but don't want to pay outrageous real estate prices. These really affordable floating home houseboat cottages are great way for baby boomers, the yuppy crowd, the double-income no kid crowd, or just about anyone who wants to live differently. These floating homes/house cottages are in the $110k to $295K price range, and offer an inexpensive way for people who want very reasonable mortagage payments and want to "live on the water". With the sites 1/2 million readers, we have been able to arrange some great houseboat rental deals for folks that plan early. It's a good way to save some money and get the perfect rental dates for the family getaway. Wish me luck, follow the trip, and hopefully we cross paths, IAN. If you're new to the Houseboat Insider, welcome and do enjoy your stay. 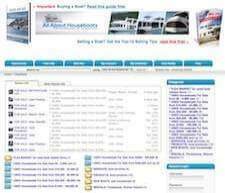 New to Houseboating? Get Started Here. 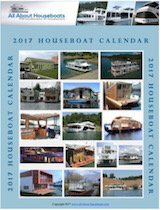 1000's of Houseboating Articles to Read. Welcome and congratulations on arriving at the fastest growing online houseboat community. So if you're new, just curious, a total beginner, or even a long-time boater, you'll find the free Houseboat 101 Guide extremely helpful in guiding you to the answers of your questions about houseboating. Here's some links to tips and information on buying a boat, transporting a boat, building a houseboat, insurance for houseboats, marine surveys, classified ads, and houseboat rentals. Below is a summary of all the categories where you will find hundreds and hundreds of articles, tips, guides, and comments from the websites members, visitors, and creator. Feel free to add your comments and ideas. If you have a story, tip, or article to share, you can post it here.